Aster (group 2) (Aster spp. 2): growing, planting, caring. This group of Asters comprises species that prefer a full-sun location and a drained soil, like A. amellus, A. albescens, A. alpinus, A. dumosus, A. ericoides, A. frikartii, A. himalaicus, A. linosyris, A. ringdove, A. sedifolius, A. tongolensis, A. turbinellus and their cultivars. 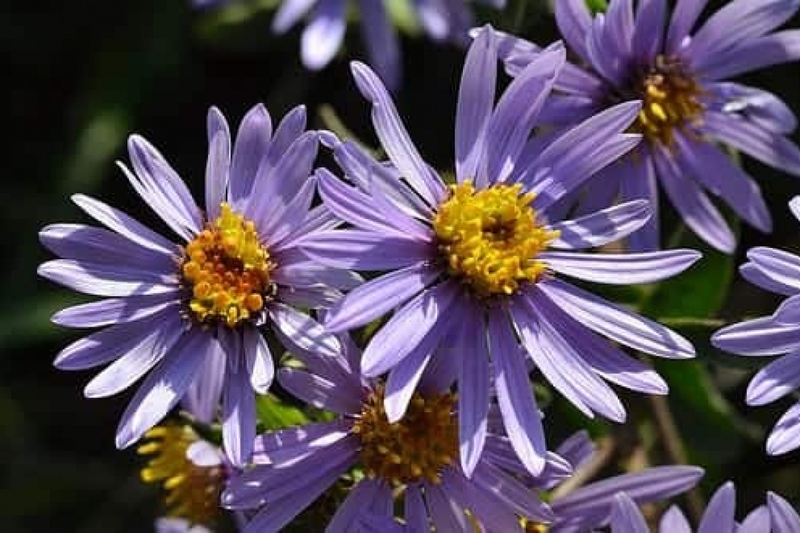 Aster is a genus of flowering plants in the family Asteraceae once containing 600 species - now only 180 species - and many species formerly in Aster are now in other genera of the tribe Astereae. Many species and a variety of hybrids and varieties are popular as garden plants because of their attractive and colourful flowers.